Service: SEO promotion with payment for traffic. Subject: accessories and items for travelling. Spending: $2 266 (including payment for agency’s services). Revenue from organic channel: $76 417 (excluding offline sellings and telephone sellings). We have been working on a project for a year, and during the whole period of time we had technical problems with website. Let’s see what results we’ve got after solving these problems. There is a developed network of client’s stores in the biggest cities of the country. Offline brand management is executed at a very high level. High average item price – over $112. Let’s start from the very beginning. 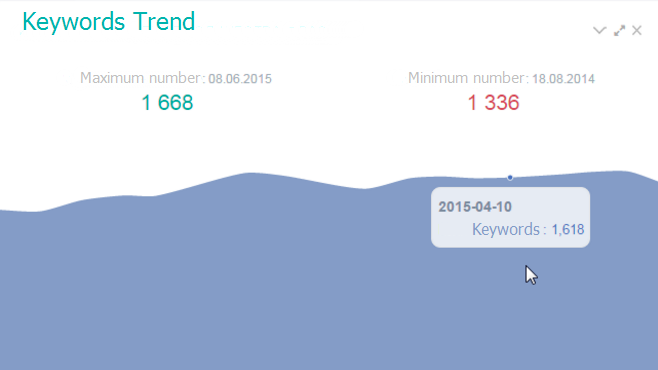 Below you can see the organic traffic stats before collaboration. What was done to achieve these goals? 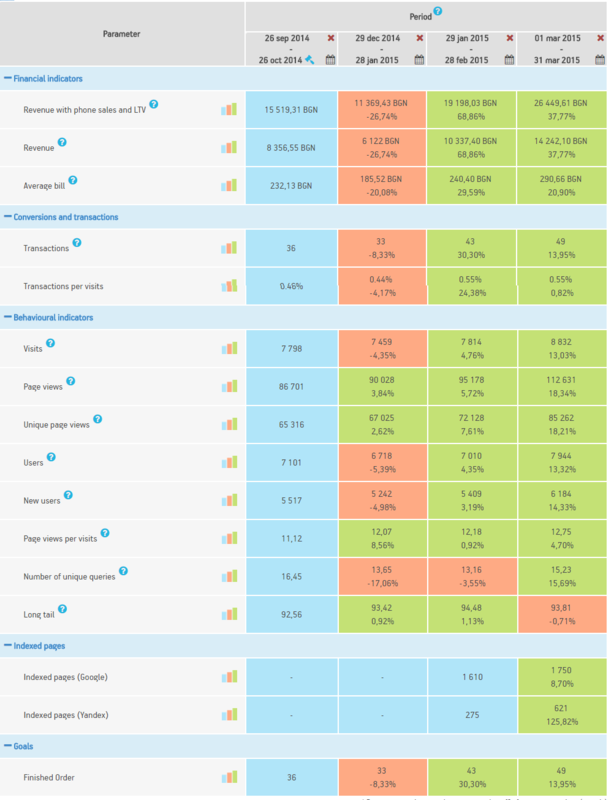 Full semantic core for all site pages has been collected using Serpstat.com and Keyword Planner Google Adwords. Seasonality for every category of site has been detfined, priorities for our tasks has been set and we have aslo elaborated a work plan. Webite structure has been completed with new categories and subcategories using collected semantic core. At the same time, we have faced a delay on programmers’ side. We have been waiting for creation of new categories, subcategories and restructuring during two months. If we had got fast response, client would have had positive result from promotion much more earlier. It is very important for SEO promotion to have a good communication with software developing specialist. If communication is organized well and SEO-tasks have right priority, project won’t be limited in it’s development. Implementation of technical tasks from client’s side need two-sided participation because principle “say and forget” is inappropriate. Using Netpeak Spider, we have found and deleted all duplicates of pages. Limited indexing of useless pages and tried to limit scanning of useless documents by robots. Setting of internal linking script and distribution of internal link juice. 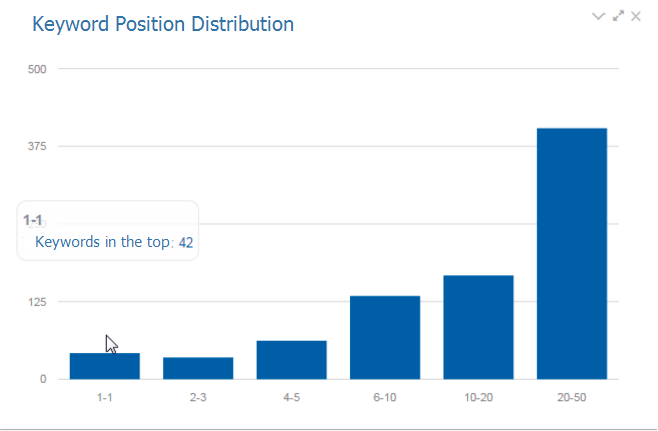 Metadata optimization for landing pages. 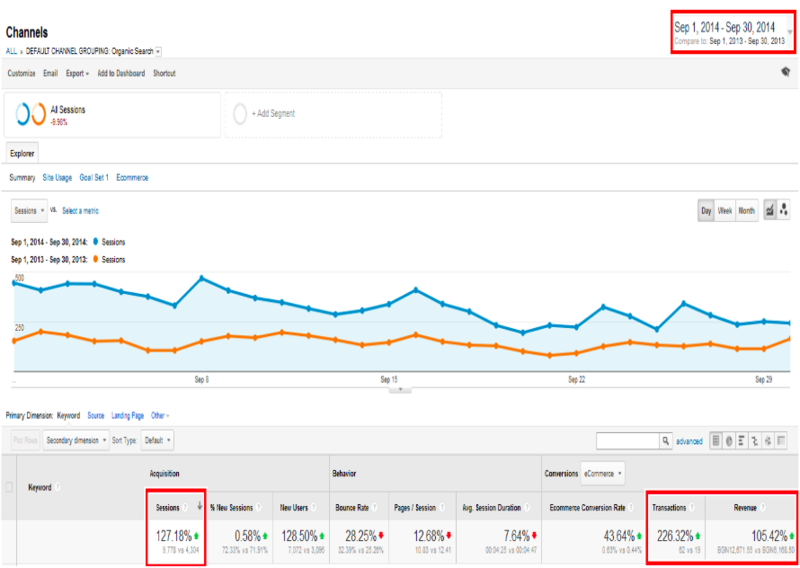 Organic traffic raised by 70% per 11 months, transactions - by 74,41%, revenue - by 49,32%. In September (peak month) organic traffic raised by 127,18%, transactions - by 226,32%, revenue - by 105,42%. 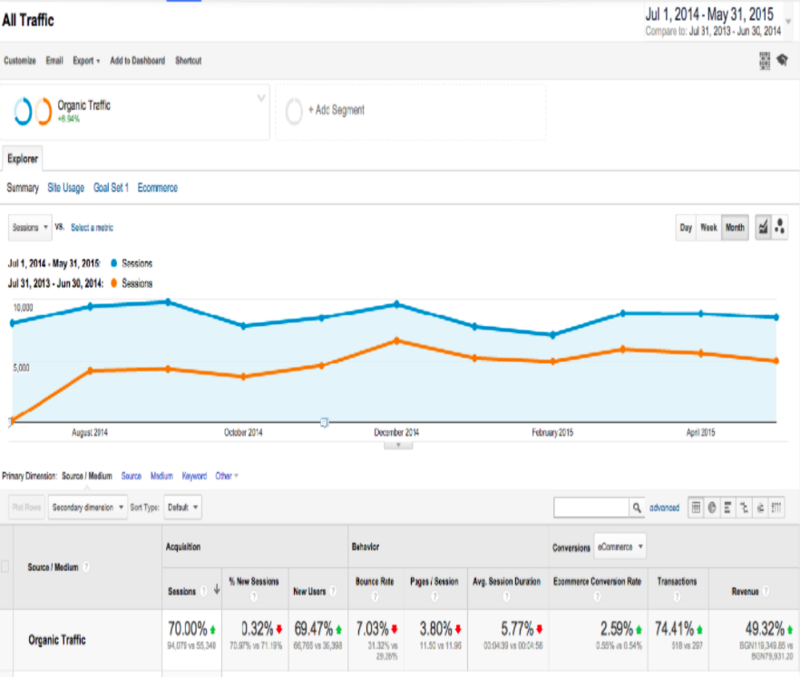 We can observe permanent positive dynamic of organic traffic what is an effect of technical audit implementation and regular works with website. Income = Profit * Average margin. ROI = (Income − Promotion spending) / Promotion spending. Income = $76 417 * 0,25 = $19 104. ROI = ($19 104 − $2 266) / $2 266 * 100% = 743%. 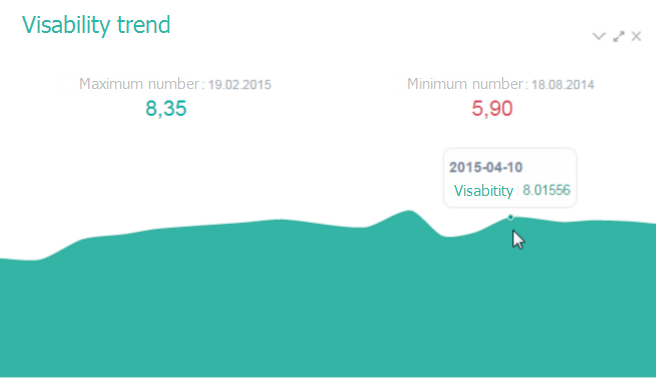 Website visability trend in Google.bg (according to Serpstat). Considering fact that online sellings are only 10% from all sellings we can say that this project is successful. Work on project is continue: new keywords is appearing, technical errors, new tactics, requirements for mobile optimization and other aspects we have to take into account at the next stage. To have results of SEO promotion you have to implement technical tasks from agency quickly. If you have no resources to do it, there is no sense to order SEO promotion. In this case it’s better to use PPC. 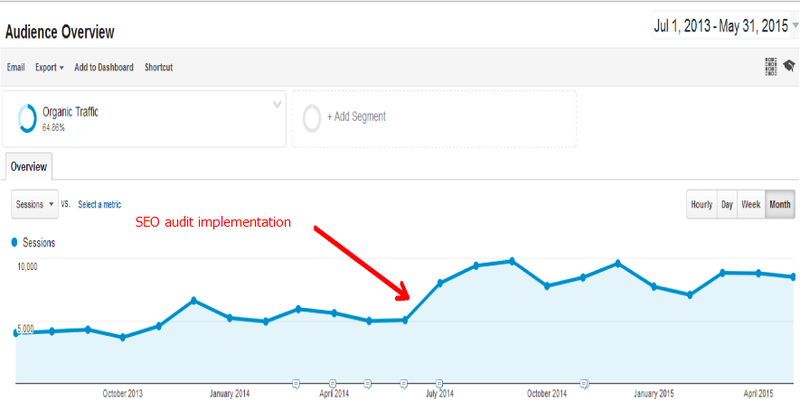 Result won’t be achieve in full without implementation of SEO audit. Speed of achieving results depend on speed of implementation tasks from SEO specialists.